Grief involving the loss of a loved one or close friend brings forth a wide range of emotions and responses which may be difficult to understand or handle. Our Bereavement Counselors assess the needs of the primary caregiver following the death of each patient in our program. We provide in-home, telephone or educational grief support as needed and/or requested. Besides Bereavement Counselors, some of the other grief support options available through Hospice of Southern Illinois include: Grief Support Groups and grief support programs such as Memorial Gatherings, Tree of Life and more. Grief is a painful, complex emotion faced by both the hospice patient and the patient’s loved ones.A hospice patient’s pain or grief can be emotional, spiritual and physical. Many hospice patients and their loved ones find it helpful to speak with a Bereavement Counselor about the questions and anxiety associated with the end-of-life. Hospice of Southern Illinois Bereavement Counselors are ready to support the hospice patient and their family through all aspects of the grief process in addition to providing coordination with the patient’s faith community if requested. All Hospice of Southern Illinois employees respect our patients’ and families’ spiritual and lifestyle choices. Hospice of Southern Illinois’ involvement with the patient’s loved ones does not end with the death of the patient. Our Bereavement Counselors remain in contact with the family and caregivers for a year following the patient’s death. Bereavement Counselors may personally visit the patient’s loved ones, listen to their stories, answer questions, provide information concerning the grief process, and offer opportunities for group support and memorial gatherings. Bereavement Counselors also provide information and referrals to area resources outside Hospice of Southern Illinois when needed. Call (800-233-1708) anytime to speak with a trained Bereavement Counselor. 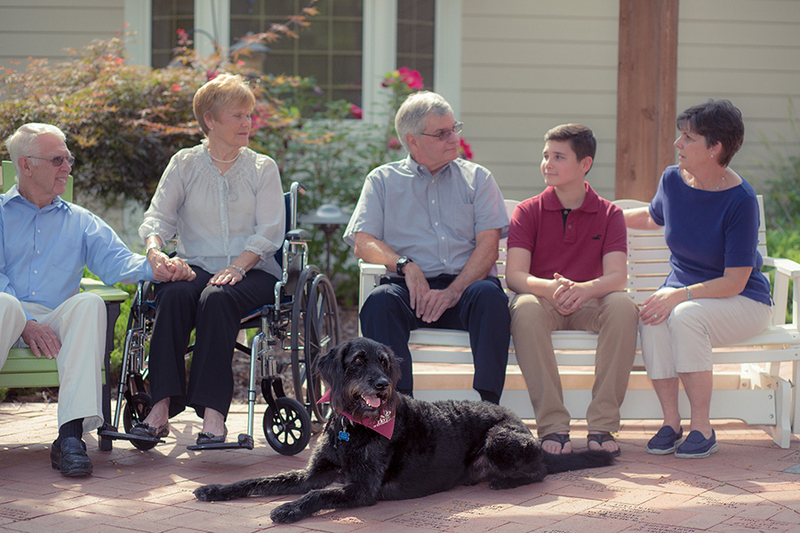 Hospice of Southern Illinois social workers help individuals and families adjust to major life challenges and changes. They work with these individuals and families to develop a plan of support, ensure the plan is put into action, and consistently follow-up with the patient and the patient’s family. Hospice of Southern Illinois’ licensed social workers are specifically trained to enhance the meaning and quality of a patient’s life by providing emotional support to the patient and family, counseling in dealing with end-of-life issues in addition to assisting with practical matters such as advance directives and understanding Medicare, Medicaid or other insurance benefits. 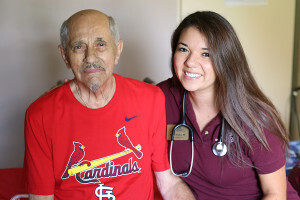 Social workers also help patients and families in finding and coordinating community resources that they may need outside of Hospice of Southern Illinois. All hospice patients are assigned a social worker specifically for their situation that stays with them and their loved ones throughout the grief process. Grieving the death of a loved one is a difficult experience for most individuals to go through on their own. Hospice of Southern Illinois offers monthly grief support groups on the second Wednesday of each month (3:00- 4:30 p.m.) at St. John’s United Methodist Church, 7372 Marine Road, Edwardsville, and on the third Wednesday of each month (3:00- 4:30 p.m.) at Garden Place Senior Living, at 351 Lockwood Drive in Red Bud. Our Counseling Department facilitates a discussion on a different topic each month. Coping With Grief: Many times survivors find comfort in learning about their grief in a structured learning environment. Coping With Grief is a FREE educational series provided to the community at various times each year. These series are presented by the Hospice of Southern Illinois in Marion, IL. For information on the next series, please call the Marion office of Hospice of Southern Illinois at 800-233-1708. Many Hospice of Southern Illinois family, caregiver and survivors find comfort in memorializing their loved one in the company of other grievers. Memorial Gatherings, held annually, provided by Hospice of Southern Illinois, are opportunities to pay tribute to the memories of loved ones who have died and to share memories with others who have also suffered a loss. Survivors are encouraged to bring pictures or mementos of their loved ones that can be placed on a Table of Memories to honor those who have been lost. Please check the Upcoming Events page for the next scheduled Hospice of Southern Illinois Memorial Gathering. Tree of Life: Holidays can be especially difficult for hospice family, caregivers and survivors while they are grieving. The Tree of Life ceremony is a winter holiday memorial service to remember and honor loved ones who have died and is held the first Sunday of December at two separate locations.